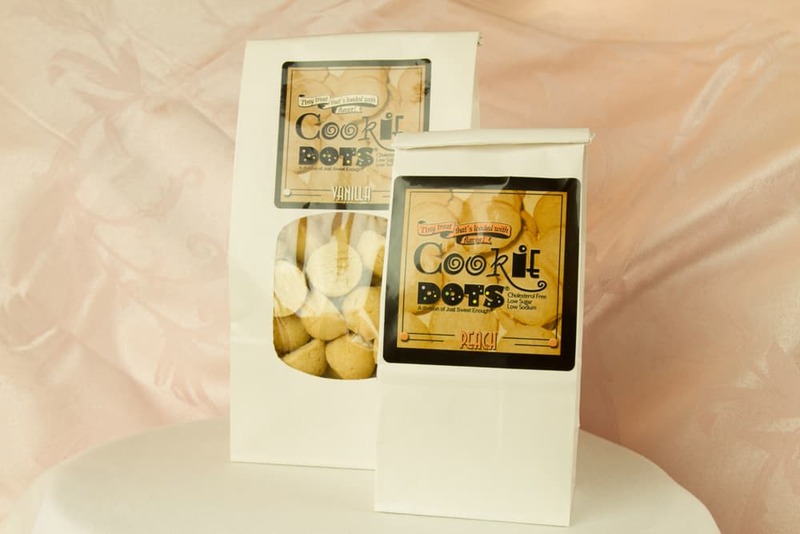 The Cookie Dots® were created in 2003 when people began to visit the Just Sweet Enough® Gourmet shop complaining of high cholesterol and heart problems and wanted a dessert just for them. At the same time, the shop was being bombarded with clients who had just been diagnosed with Type II Diabetes, allergies and various cancers. 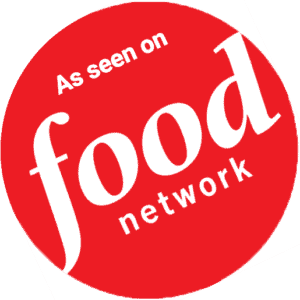 As Just Sweet Enough® was taking notes and trying to figure out what to do to please everyone, it received a call from Lindora Weight Loss Medical Center (corporate office), Weight Watchers, and Overeaters Anonymous in regards to obesity. It was close to holiday season and a lot of clients were also Jewish. Taking all of this into consideration, Cookie Dots® were born!! Cookie Dots® are cholesterol free. There are absolutely no animal products in Cookie Dots®. 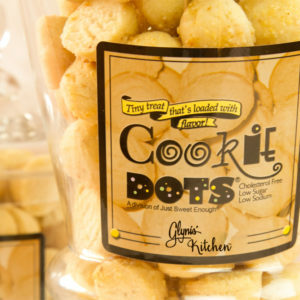 Only the best Kosher ingredients are used to make Cookie Dots®: real juices, oils, zests and fruit. For starters, Lemon and Vanilla were made, but by April of 2004, other flavors were tested for various health challenges. Strawberry (loaded with Vitamin A which replaces healthy red blood cells). 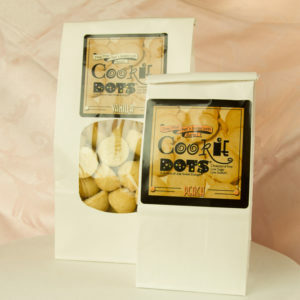 Cookie Dots® were given and sold to clients coming in who were anemic and/or going through chemotherapy. In fact, the American Cancer Society was a regular client and soon inducted Glynis Albright as one of its board members. Blueberry (brain booster fruit) Cookie Dots® were made for those who had parents going through their first stages of Alzheimer’s (Dementia) as well as for children who had lots of studying and memorizing to do for school. Peach, Orange, and Chocolate Mint have been sold since 2004. Later 20 other flavors such as Banana, Pineapple Coconut, Chocolate Raspberry, Granny Smith Apple, and Oatmeal Carrot to name a few. Glynis Albright was known for loving food, cooking, and baking since she was a small child. She began using her parents’ kitchen to prepare meals and bake all sorts of desserts by the time she was 10 years old.